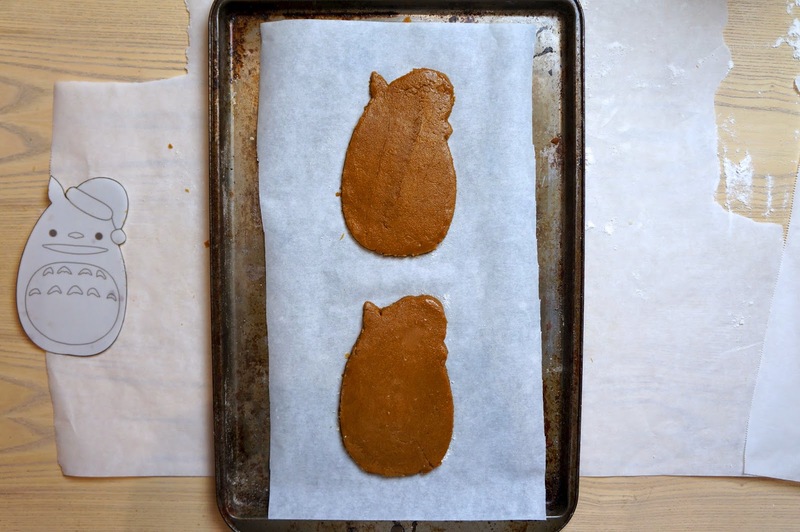 First you will want to make up your gingerbread cookie dough. 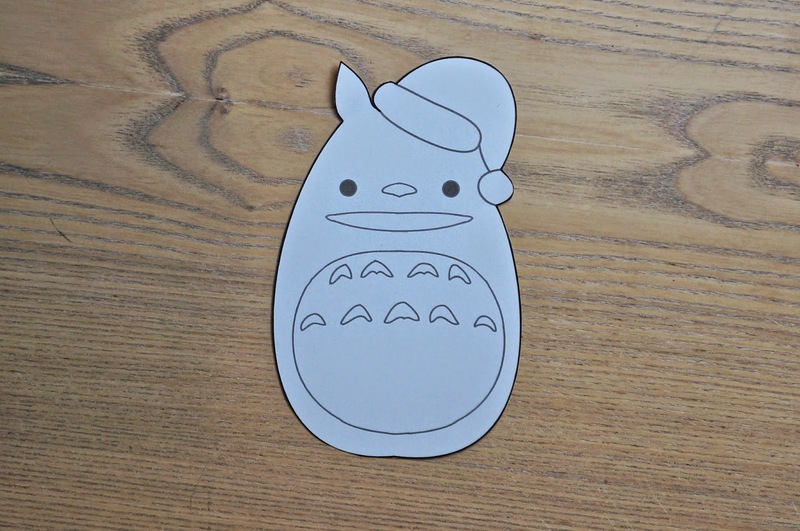 Print out the template then cut out. 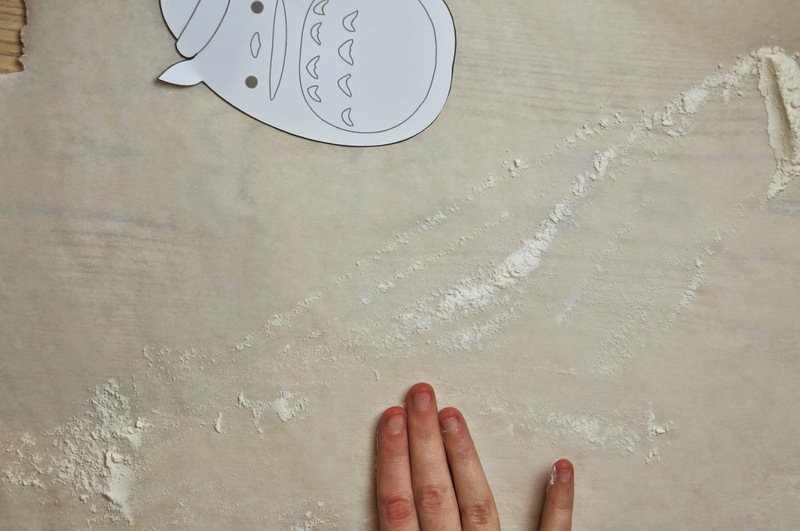 Prepare your work surface with flour. 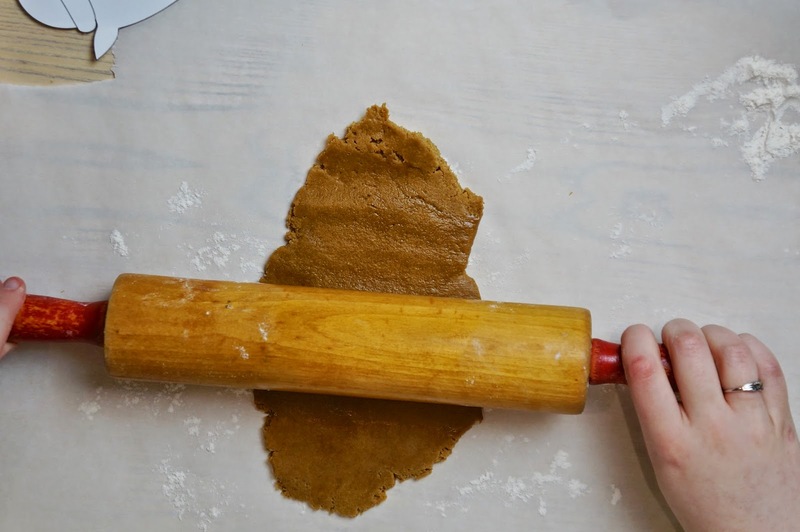 Roll out dough to desired thickness. 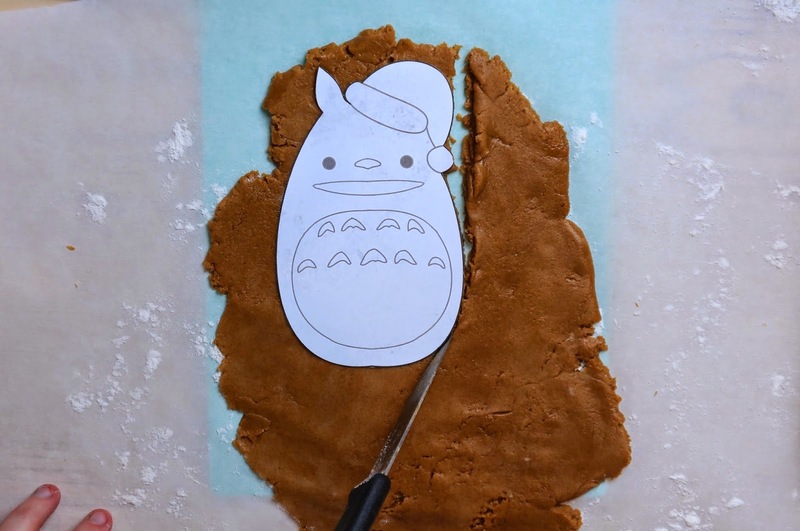 Place the template onto your rolled out dough. Cut round the template with a knife. Repeat until you've used up all of your dough. 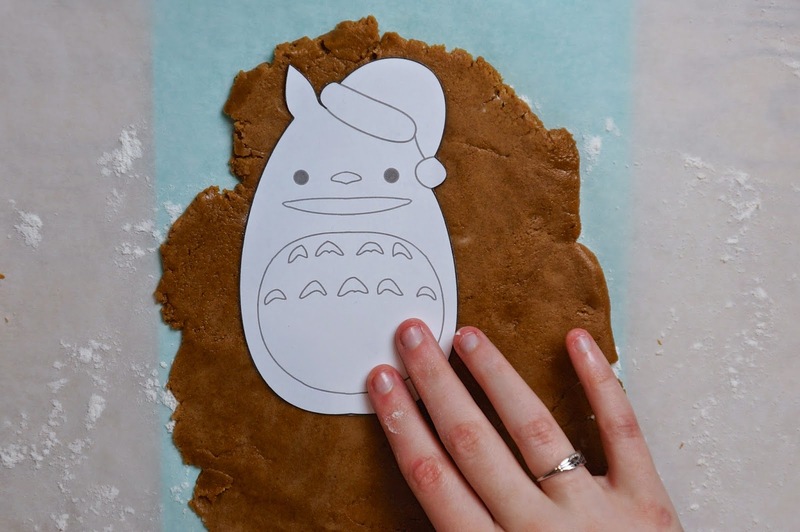 Place cutout shapes onto a parchment paper lined cookie sheet. 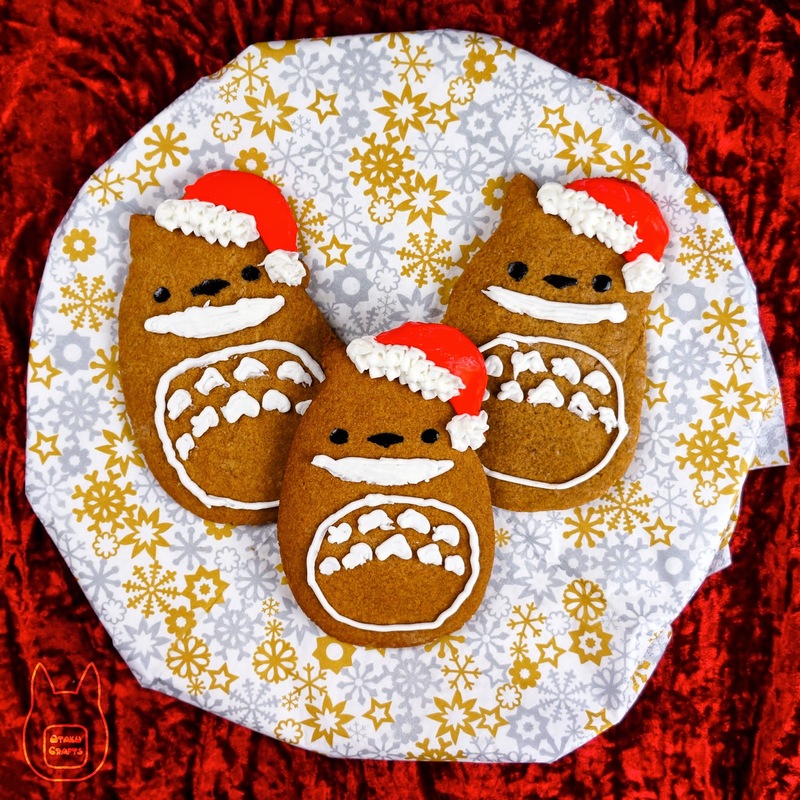 Bake your cookies according to your recipe. 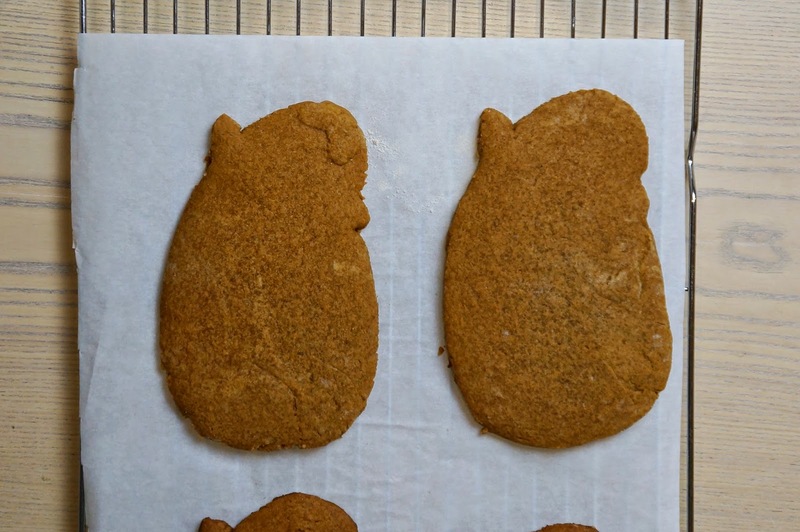 Once baked let cookies cool thoroughly before moving on. 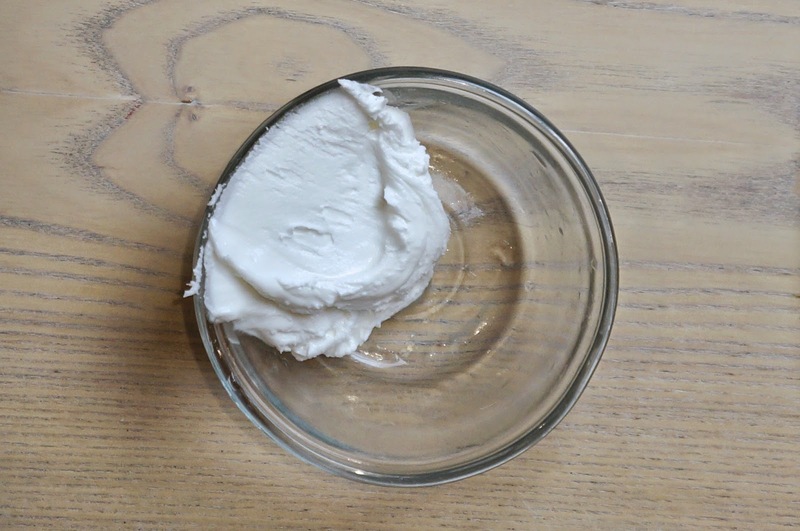 Prepare royal icing according to recipe or package directions. 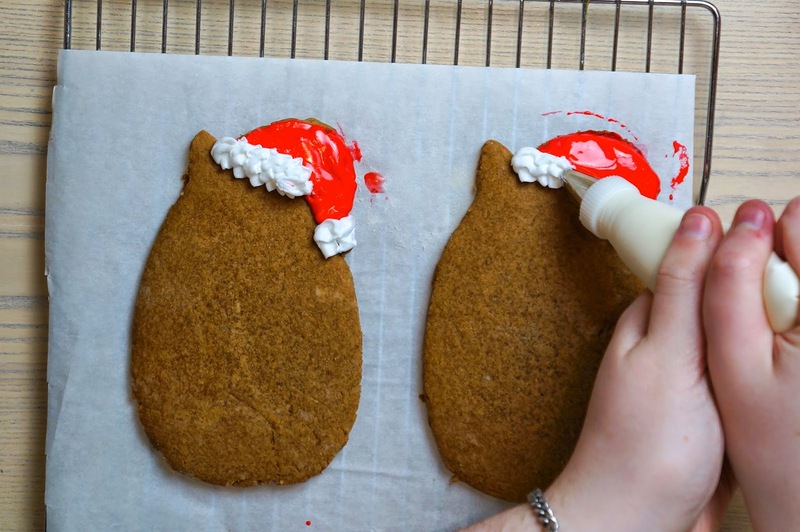 Tint a small quantity of your royal icing with red food colouring. 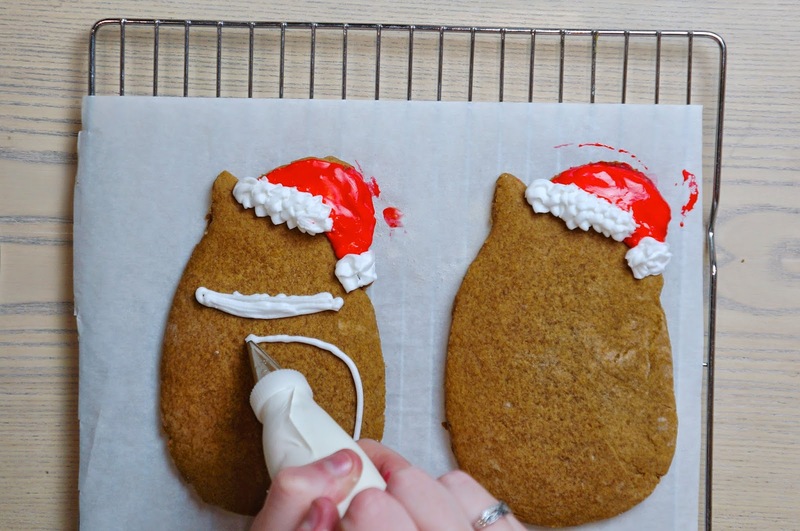 Using your template as reference, fill in the hat area with your red icing. 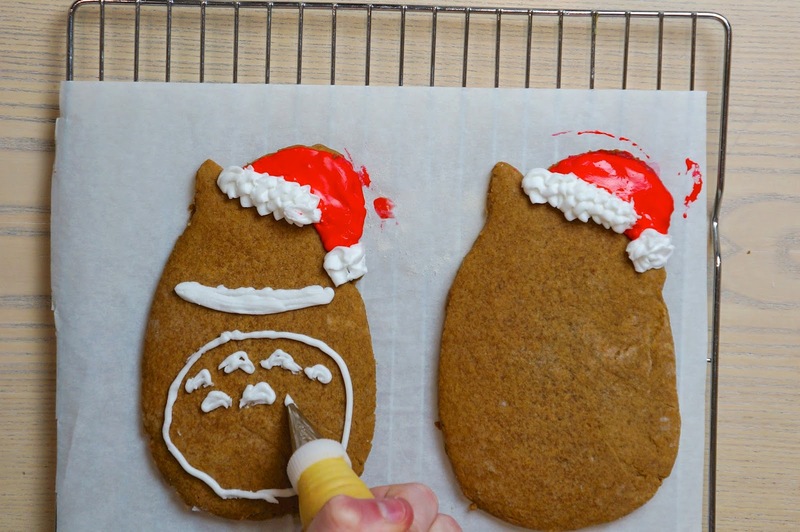 Pipe the hat rim and ball with white icing. With a smaller tip add the other white details (smile and tummy details). Mix up a small quantity of black icing. 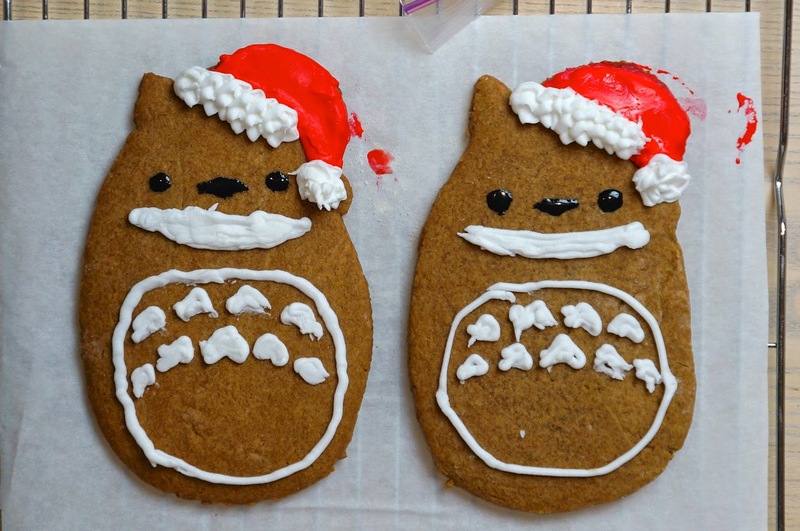 Use the black icing for the eyes and nose. Allow icing to harden according to recipe. 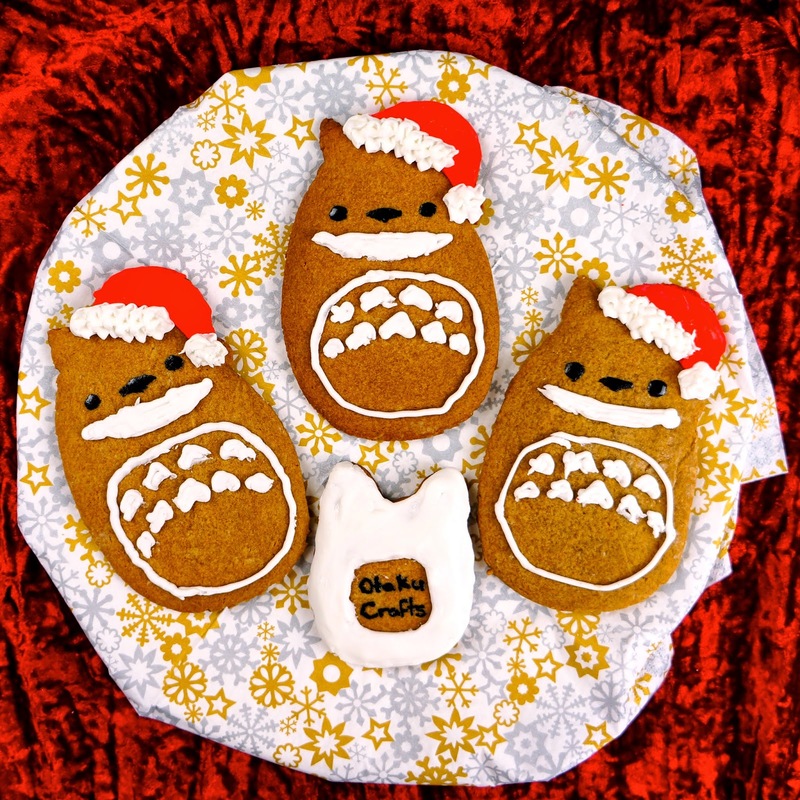 Now you have your finished Totoro gingerbread cookies!